Skull Dress Shirt Sequined. This skull dress shirt is for rock lovers that aren’t afraid of daring details. Button-front shirt designed with tailored fit and embroidered, metallic silver skull. 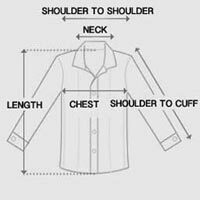 Constructed with front button closure, button-down collar and button tab on both sleeves. Skull dress shirt made from pure cotton with a lightweight feel. Shiny skull embroidery on back made with skinny ropes and raw mesh finished with black sequins. Front includes small chest patch with moto-inspired graphics. Turn heads in the edgiest skull dress shirt that you’ll always feel fearless in. Available in navy and green.